Pick up the Lumia 540 Dual SIM if you value style above all else and want to stand out in a crowd. If utility is your main concern but you still want Windows Phone, save some money with the Lumia 532 Dual SIM. If you want better features and a bit more power, you have plenty of options on the Android side of the fence. 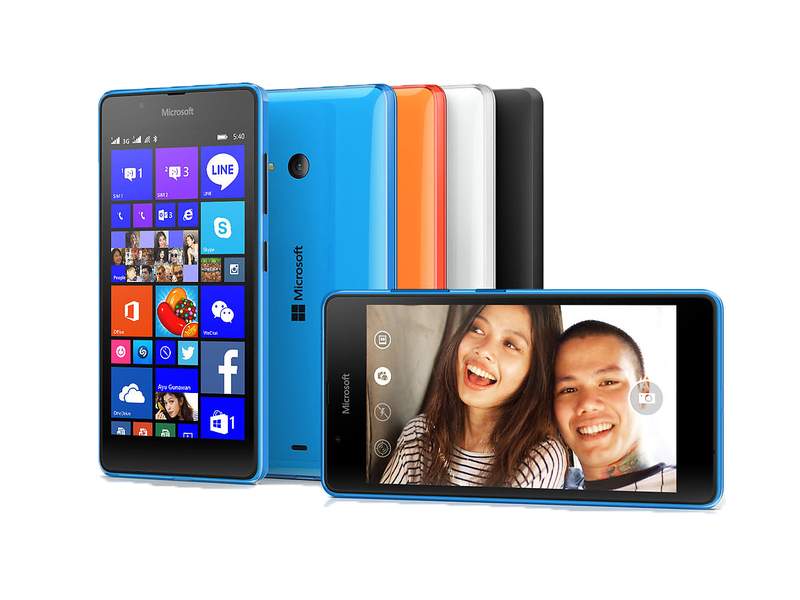 Model: The Microsoft Lumia 540 is a budget-friendly smartphone with just the right amount of style and functionality. 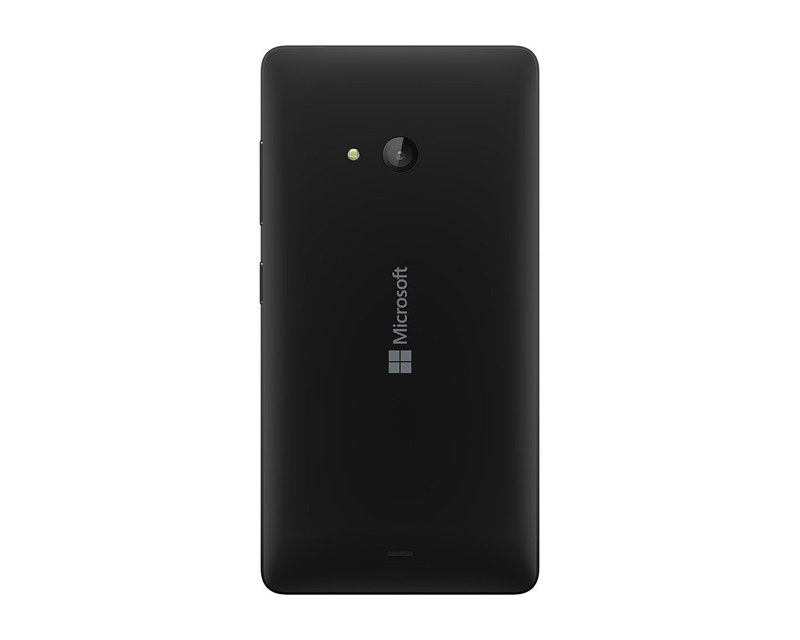 The exterior design is similar to most Lumia devices with a glossy back panel enveloping the entire chassis. There are several colors to choose from; orange, white, black, grey and blue. The 152 g smartphone feels solid in hand and sports a 5.0 inch IPS LCD display with ClearBlack technology. Colors are rich and display sharpness is impressive with a pixel density of 294 ppi. Audio quality is decent making the Microsoft Lumia 540 a good mobile entertainment platform. 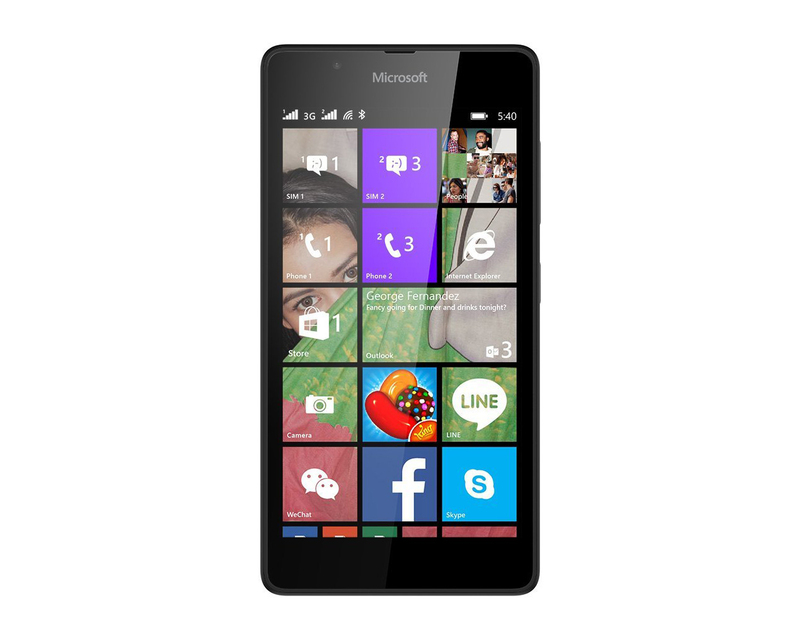 The Microsoft Lumia 540 ships with Windows 8.1 operating system and contains a solid array of hardware specifications. There is a Qualcomm Snapdragon 200 quad-core processor clocked at 1.2 GHz, 1 GB RAM, an Adreno 302 GPU and 8 GB of internal memory. Other features on the smartphone consist of dual SIM support, microSD support of up to 128 GB, Bluetooth 4.0, FM radio, and A-GPS. The Microsoft Lumia 540 also comes with an 8 MP primary camera at the rear with autofocus and LED flash and a 5 MP front-facing camera. Battery life is another strong point on the device with its 2200 mAh lithium ion battery, which allows up to 81 hours of music playback and up to 15 hours of talk-time on a 3G network. Qualcomm Adreno 302: Integrated graphics card in some Snapdragon 200 SoCs with 6 shaders clocked at 400 MHz. These graphics cards are not suited for Windows 3D games. Office and Internet surfing however is possible. » Further information can be found in our Comparison of Mobile Graphics Cards and the corresponding Benchmark List. 200 MSM8212: Entry-level SoC with four ARM Cortex-A7 cores at max. 1.2 GHz. » Further information can be found in our Comparison of Mobile Processsors. Microsoft smartphones and tablets have been tested since 2012. There are many reviews with average ratings. The reader's interest is quite given, but the market share is not big enough for the Top 5 smartphone manufacturers (as of 2016).